Happy Friday everyone!! 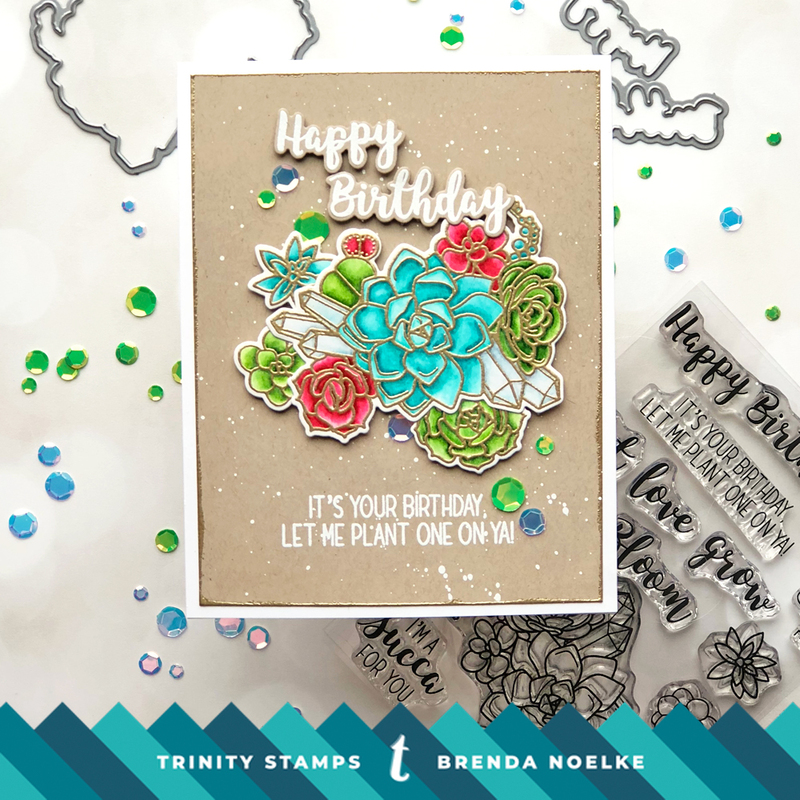 I have a birthday card to share with you today that uses the beautiful Let Love Grow stamp set and Coordinating Dies. We’ve had a few warmer days this week and I was out cleaning up some of my succulents that are outside year round. I’m not sure what the proper name of the plants are, but my mom calls them “hen & chicks”. Those plants inspired my card today. My plants are all green, but I had to make my card more colorful. I began by stamping the images from the Let Love Grow stamp set with Versamark Ink onto Bristol paper and heat embossed them with gold embossing powder. I colored the images with Zig Clean Color Markers and a blender marker. 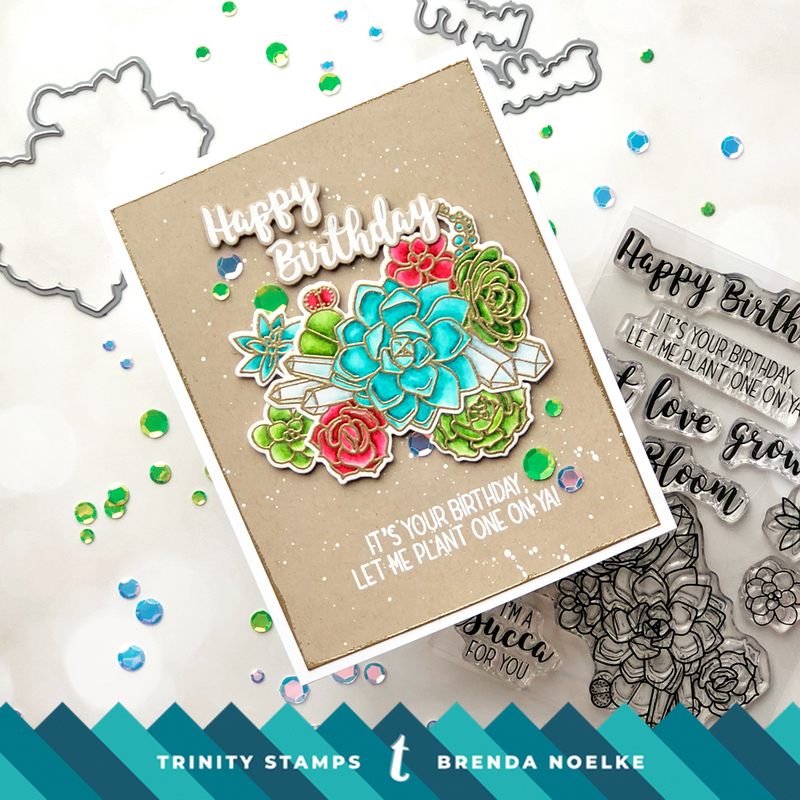 The “Happy Birthday” sentiment was white heat embossed onto kraft cardstock. The embossed images were cut out using the Coordinating Dies. The secondary sentiment was white heat embossed toward the bottom of a panel of kraft cardstock. (Kraft just goes so well with succulent stamps, for some reason.) I swiped the Versamark pad along the edges of the kraft panel and gold heat embossed them to give the panel some definition. A little diluted white gouache was splattered onto the panel. Once that was dry, I just had to assemble the card. 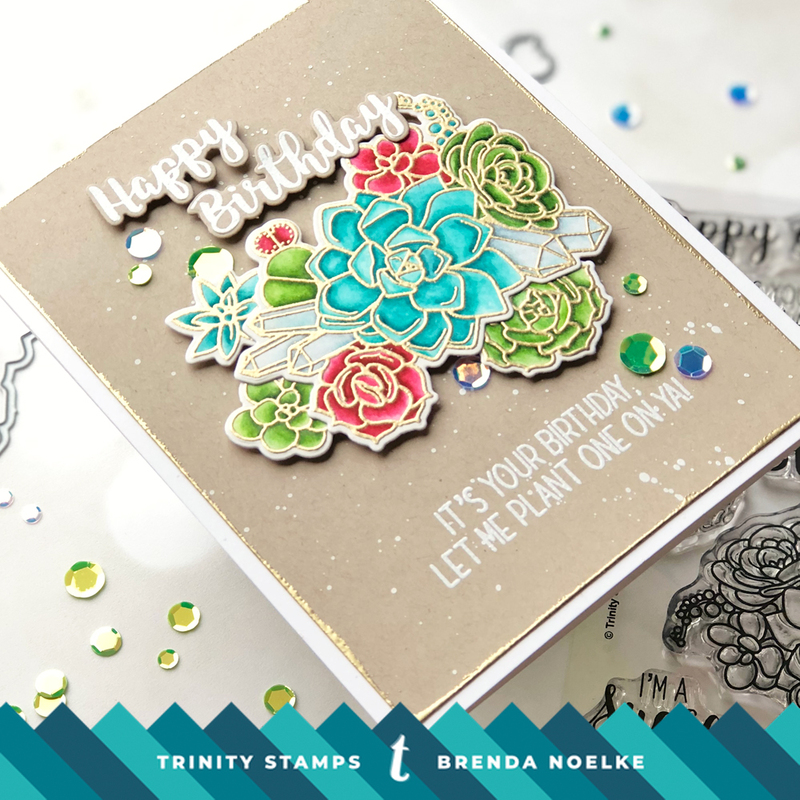 The die-cuts were all popped up with dimensional adhesive and a few sequins from the Supernova and Wicked mixes were the perfect match! That’ll do it for me today!! Have a wonderful weekend and I’ll see you next Friday!! Yep, hen and chicks! Love you,poppin’ colors!